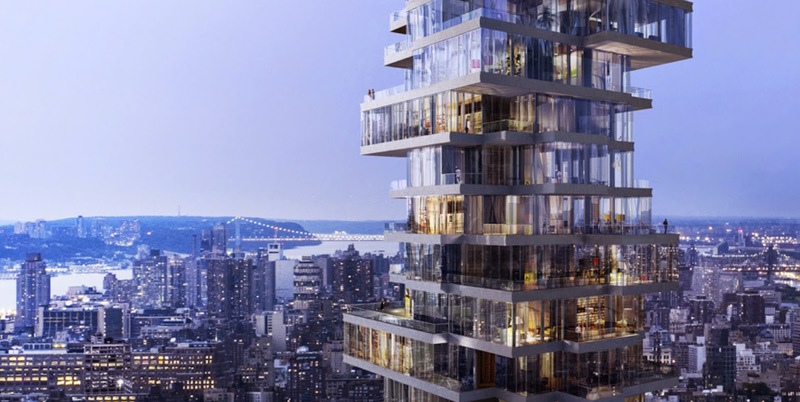 Herzog & de Meuron have designed an iconic tower in the New York skyline. 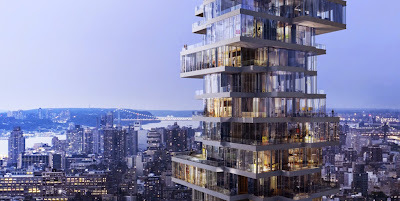 56 Leonard is a 60-story vertical glass expression of sculpted surfaces, cantilevers and sparkling glass. 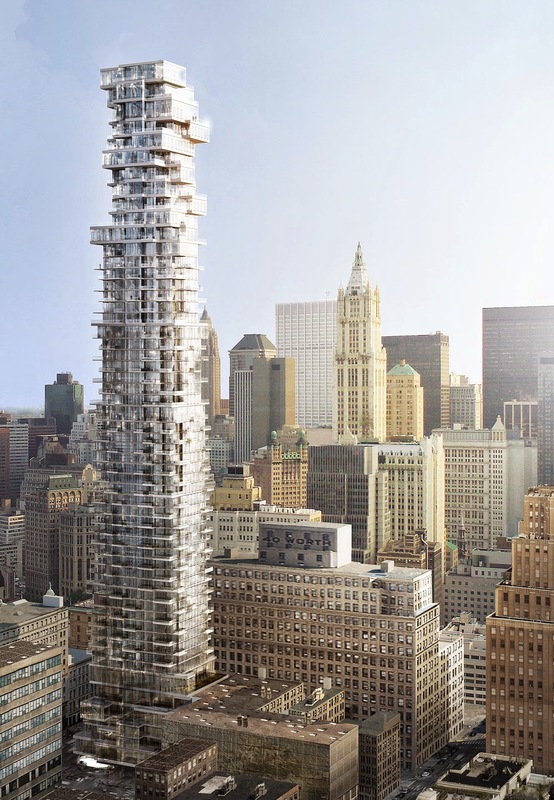 This “new generation” of glamorous sky high towers taking over the Manhattan skyline is a jenga-inspired building that will stand at approximately 821 feet tall. 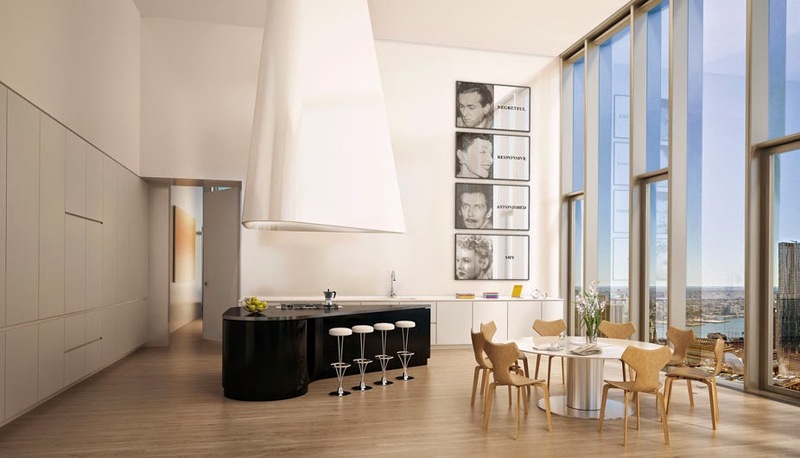 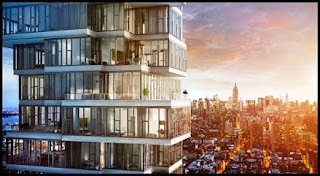 It will be TriBeCa's tallest tower and the top ten floors are penthouses.